The Superbowl is this weekend! 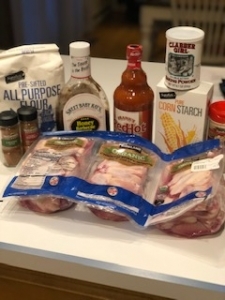 Wings are one of the top foods that we all look forward to having, so I decided to give it a try. 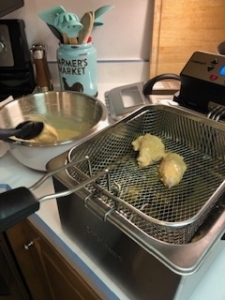 We have a deep fryer that we chose to use, but you can always use a dutch oven with oil. Heat your oil to 350 degrees. We used peanut oil. I used a bag of 2 lbs. 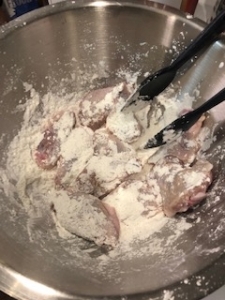 of fresh chicken wings and tossed them in a mixing bowl with 1/4 cup of cornstarch. 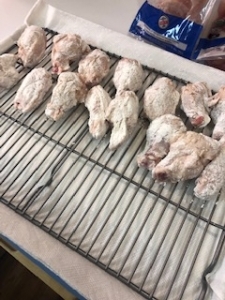 Then, place the wings on a wire rack and let them rest for 20 minutes. 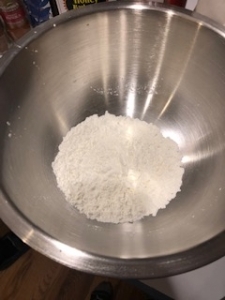 While they are resting, in another bowl, add 1/2 cup cornstarch, 1/4 cup flour, 1 tsp. paprika, 1 tsp. cayenne pepper, 1 tsp. garlic powder, 2 tsp. baking powder. Mix with a spoon. 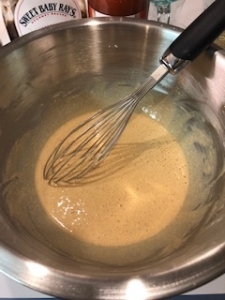 Then, slowly pour in 2/3 cup of water and whisk until there are no clumps. 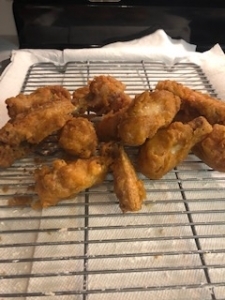 Coat wings in the mix one at a time and let the excess drip off back into the bowl, then place in the deep fryer. Let cook for 10-12 minutes. Once finished, lay on the wire rack for 1-2 minutes. 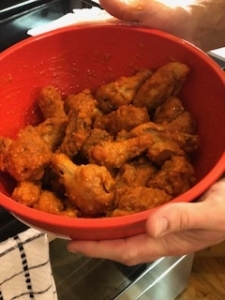 You can either drizzle sauce or toss it over your wings using a bowl. 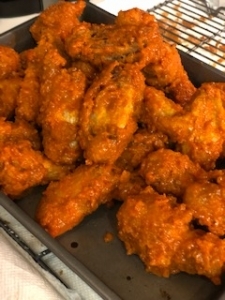 I did two batches- one using hot sauce and one in honey barbecue. 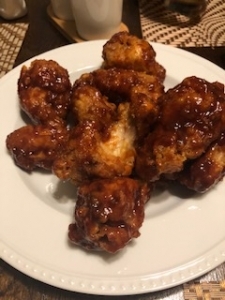 BOTH DELICIOUS– these wings were just as good as any wings I’ve ever had at a restaurant! SO CRISPY!